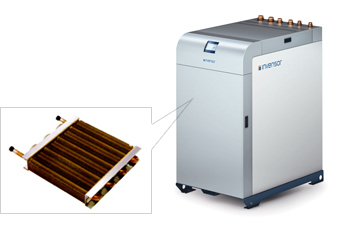 INVENSOR's Adsorption Heat Pump (AdHP) Chiller LTC-10Plus - 10KW (36,000 BTU/hr) cooling capacity (pdf758kB) as displayed. 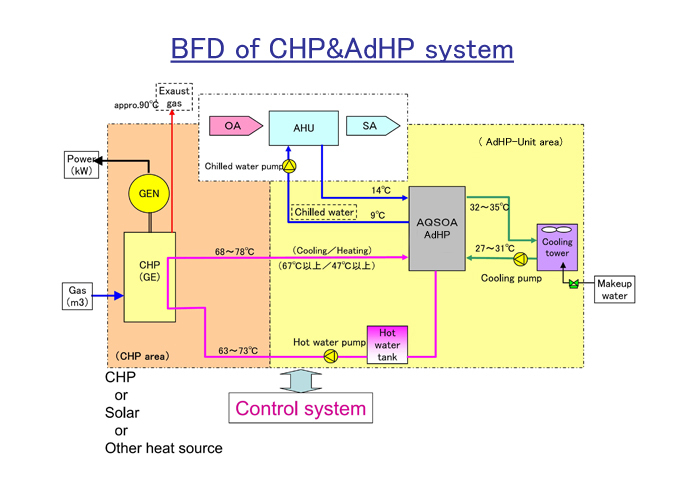 The chiller utilizes hot water generated by CHP (Combination of Heat and Power) using natural gas. 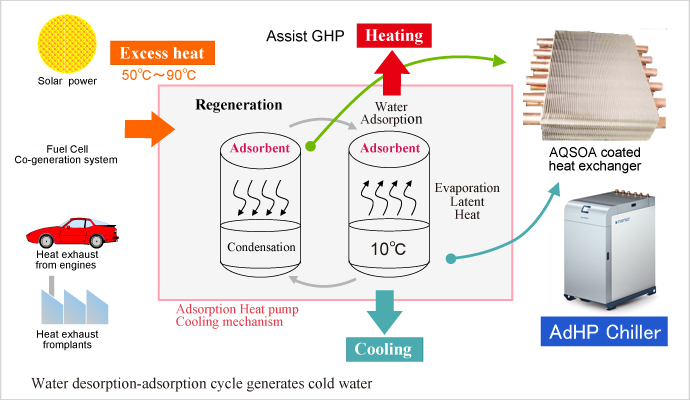 Co-generation system can change to "TRI-GEN" to generate electricity, heat and cool working with AQSOA AdHP chiller. 4. By using 65 degree C (149 degree F) hot water, 10-15 degree C (50- 59 degree F) chilled water can be produced. For details, please inquire from this button. Please feel free to send your inquiry from the questionnaire below.